Sometimes the tragedy of an aircraft accident is so great that people want to forget about it and the event is almost lost to history. Such is the case with the worst aviation accident in Hawaii history and the deadliest accident in the history of United States Naval Aviation. 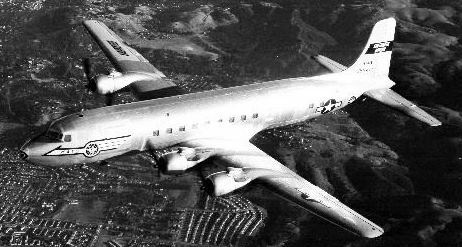 The naval aircraft accident involved a Douglas R6D-1 Liftmaster transport which crashed into a mountain in Hawaii on March 22nd, 1955, killing all 66 people on board. I believe that by recounting the events of this tragic accident is a way of remembering and honoring the victims, because they are not forgotten. The families and descendants of the victims deserve to know the truth and the public has a right to know about what happened so long ago. Very little has been previously published about this accident and some of it has been wrong. I want to correct the historical record with this story. This story is dedicated to the remembrance of the 66 victims. This is my longest story to date. 20 pages of text and with photos/illustrations it is 50 pages. I had to divide the story up into 5 parts to be able to fit the format of this web site. The full story as one pdf file available upon request. This is also one of my longest crash investigations. I have been working on this one for several years. I discovered a lot of strange things along the way. As always, I welcome feedback and any additional information about this accident and especially more information about the victims. Thanks for posting your very interesting report on this horrible tragedy, it's one that has always been in the back of my mind ever since first seeing the reflections on the side of the mountain back in the late 60's. Thanks for the great story! Don talks to me about this one all of the time as it being the most challenging site visit that he has ever made!